High-quality diamonds. Wet or dry cutting. 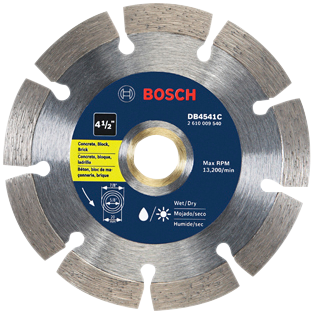 For cutting concrete, block, brick, stone and other masonry material. For use in small angle grinders.